Discover Philips Kitchen Appliances for your meal preparation and cooking needs from chopping and juicing to grilling and baking. Make healthier, delicious meals at home every day. The healthy way to fry! Get the taste you love without the guilt. Enjoy fresh homemade pasta in 18 minutes or less! Delicious grilled food with virtually no smoke. Healthy, homemade soup in 18 minutes! Create healthy meals at the touch of a button. Consistently healthy, tasty dishes in no time. Enjoy a variety of nutritious juices from fruits and vegetables everyday. Perfectly chopped garden-fresh ingredients for flavorful, tasty dishes. Discover the versatile dishes you can make at home with our range of Kitchen Appliance accessories. We teamed up with Bob’s Red Mill to create this delicious Chicken Barley Soup in the Philips Multi Cooker. The perfect meal for dinner this fall. Making fresh and flavorful homemade pasta has never been easier. 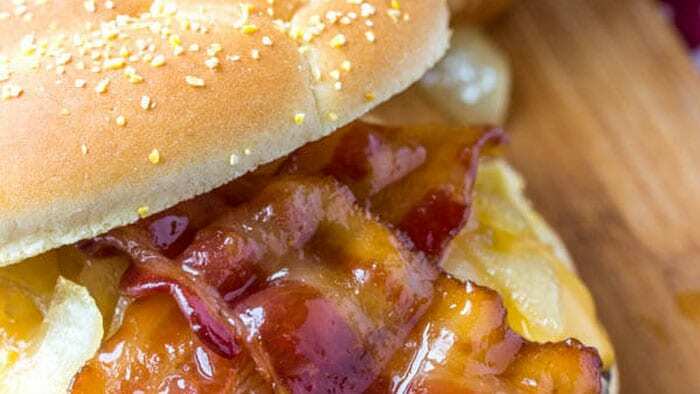 Try these flavorful Whiskey Bacon Burgers on the Smoke-less Grill rain or shine.